Lemax Home For The Holidays Figurines depicts two extremely happy parents receiving home their young Son from UnIversity for the Christmas holidays. A newcomer to the seasonal Lemax Village miniatures range which joined the growing range in 2017, suited for placement in a Christmas Lemax display. 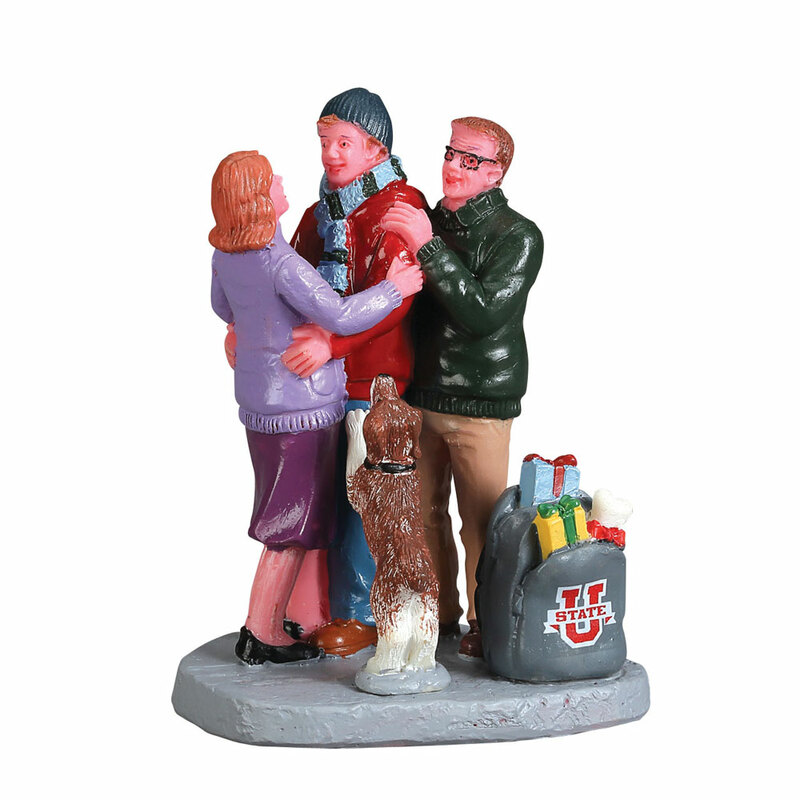 The Home For The Holidays piece comprises of multiple individual hand painted polyresin figures on a single individual street base to compliment your seasonal Lemax Village display.